Good morning. It is good to meet you here at the Tongkyo Center. And I thank you for your prayer support for the Lord's world mission. One brother whom I had helped got married. I officiated the wedding yesterday and I am attending the worship service today. On the way to Korea, in an airplane I had prepared a brief mission report based on Acts 19:20, but during early morning prayer today I received a word from 1 Samuel and I would like to share it with you. As I see this generation is the generation where people like Saul gain upper hands. Is it not the generation where people like David are among the fugitives? Then what should we do? I believe we can find the answer in the proverb saying, "Is Saul also among the prophets?" What is the answer? I want to say two things. First, we should enhance our spirituality. "Is Saul also among the prophets?" This is a cynical expression. In modern terminology it is as good as one of us believers saying, "Can a gang-banger like Jungun Kim of N. Korea be changed? Can he be a Jesus' witness, so he could even go out as a missionary to one of the muslim nations?" or "Can young donkeys like Psy the Korean singer be trained as one of the excellent disciples of Jesus and serve the Lord as a gospel worker for Jesus's name sake??" "Is Saul also among the prophets?" Please pay attention to the word, "also". It carries a pessimistic and fatalistic undertone. It reflects the unbelief that was prevailing in the minds of the commoners of Samuel's time. But I think the leaders of Samuel's day missed the message the Lord intended to convey. Consider why God caused this to happen. Of course the immediate answer was to protect David. But why did God protect David this way? So the message for us lies in the way in which He protected young David. Children learn from the father not only what he does but also how he does. And when they do not learn how he does what he does they cannot bear fruit at all. People of Saul/Samuel/David's day did not learn how. They only saw what. They saw God keeping Saul from harming. Then their minds became dull again. In their cynicism they said, "Is Saul also among the prophets?" Then that was it. They did not learn anything. Their spirituality remained at the bottom. They were still ruled by the spirit of pessimism. In the spirit of fatalism they did not rise from the swarms of despair. In their unspiritual mind, they still lived like a crocodile living in the marsh of African jungle. But the message is that when God's Spirit works all can change. But in Him there is no pessimism or fatalism. Nothing is impossible with God; all things are possible with God. If God works, great things can happen. Even people like Kim Jungun who is like a blind donkey can be changed and used as a missionary for heathen nations such as Iran or Iraq. How? "Not by might, nor by power, but by my Spirit." Zec 4:6 When God works, a wild person, as wild as Psy, full of youthful energy, could be changed into a servant of the gospel. Therefore, we need to get into the power of God's Spirit. Let's cut back on worldly things like watching TV; let us devote ourselves to the fellowship with God. Spirituality comes from faith. Let's repent of pessimistic and fatalistic thoughts on the people of our generation. Look at 19:24a. Saul prophesied in Samuel's presence. There are many Sauls running around on the Hongik university campus. Let's pray that God may raise numerous Samuels in Dongkyo center. I came from the west coast of U.S. Just as there are many Sauls in Korea, there are tons of Sauls roaming around on the U.S. college campuses. Please pray for us as well. Second, if we neglect our spirituality, we will all perish. Look at 19:24 b. "He lay naked all that day and all that night". In the Bible, three people went naked and prophesized - Saul Prophet Micha (Mc 1:8) and Prophet Isaiah (Is 20:2-4). Isaiah's case is proverbial. The Lord said to him, “Take off the sackcloth from your body and the sandals from your feet.” And he did so, going around stripped and barefoot. Then the Lord said, “Just as my servant Isaiah has gone stripped and barefoot for three years,..... so the king of Assyria will lead away stripped and barefoot...." In view of 20:2, 4, it appears that Isaiah went around naked even without wearing his underwear. What would you think of me if I walk around here at the center during the sunday worship not wearing any clothes even underwear? There are many sisters seated on this side. What would they think of me? But Isaiah did it. He obeyed God's command. Then why did God let him do that? Or what message is there to learn from Saul lying down naked all day long? I gave you answer already. Isaiah 20:3a reads, "Then the Lord said, “Just as my servant Isaiah has gone stripped and barefoot for three years, as a sign and portent against Egypt and Cush," Let's read verse 4 as well. "[S]o the king of Assyria will lead away stripped and barefoot the Egyptian captives and Cushite exiles, young and old, with buttocks bared—to Egypt’s shame". Here think about the words "captives" and "shame". Nowadays Koreans are resentful over Japanese politicians for the newly elected Japanese prime minister is in denial of the history of foreign invasion, for during the 36 years of Japanese occupation Koreans lived as slaves to Japanese masters. And no one single Korean like to live as a slave. And no one wants to be ashamed. All want to expose their proud points; no one wants to see their shameful sides exposed. How would you like if someone who knows all the shameful things you have done come and expose all of your shameful things for all to see? So let's pray that we would gain power in His Spirit and turn Sauls of our generation into Davids. 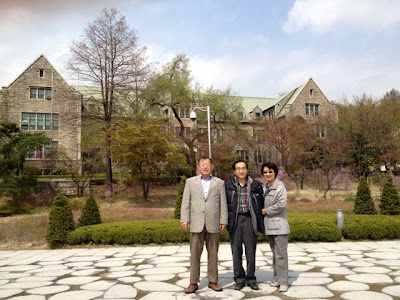 At 2:00 pm of April 25, 2013, per Shepherd David Kim (Korean UBF General Director)'s invitation I and Rebekah visited the campus and prayed for raising mothers of many nations from among women students of this campus. I know you have been using it and are using it all the time. In fact it is only you who are to live your life, for when you do not live your life who else lives (or uses) it? You are the only one licensed to use your life. So "you" should sleep for example. If you do not sleep who else can sleep for you? "Lord, I know that people’s lives are not their own." Do you know what Jeremiah knows? Does it matter to know what Jeremiah knows? Remember: Jeremiah means "the Lord establishes". So if you want to be established (in the true sense of the word established), get the answer to this question right. 2. Who is (or should be) directing your step? So think about the places you 'want' to go, and the places you "do NOT want" to do. And who directs your step to go to the places you WANT to go, and who directs your step to go to the places you DO NOT want to go, and yet you HAVE TO go to the place you do not want to go? I know what you are thinking. You want options (or alternatives). So you think you can opt out to commit suicide. But what if even that option is not allowed? Again, "who is (or should be) directing your step today and tomorrow?" And what will be the consequences? Haven't you thought about it? Think about it. Does this confuse you? Sort things out and still think about it. 3. How can you know your way? Now would you please consider Proverbs 20:24-25 (NIV), "
A person’s steps are directed by the Lord. How then can anyone understand their own way?" Way consists of steps taken. 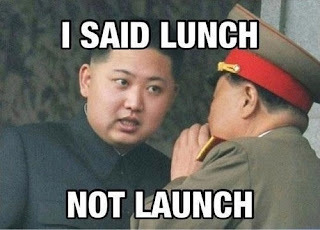 For example, lately North Korea took a few steps towards the way to possibly WWIII. Will they take further steps needed down the road like shooting nuclear tipped IBM to GUAM? 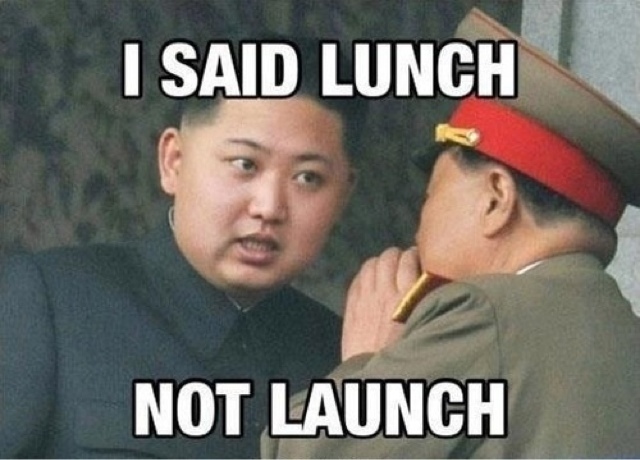 If it is you who direct your step like Kim Jung Un you can 'understand' the way (or outcome). But if it is not you, but someone else who directs "your" steps how can you understand the way? The answer is obvious: you cannot unless you enter the mind of the one directing your steps. How then can you read someone else's mind? Who can understand the mind of The Lord the King of universe? No one for we are all less then a speck of dust. Does this mean that we are hopeless? I know what you think. You might wish to quote: "We live by faith not by sight" or "Trust in The Lord with all your heart, and lean not on your own understanding." Jeremiah 10:25 (NIV) says, "Pour out your wrath on the nations that do not acknowledge you, on the peoples who do not call on your name. For they have devoured Jacob; they have devoured him completely and destroyed his homeland." Today we are having a memorial service for our mother Gertrude Michaud - the mother of 6 children, 15 grandchildren, 18 great grandchildren, and 7 great-great-grandchildren. In regard to the grace that comes from our mothers, the Bible says children go through four stages of mother’s grace falling on them. Notice two words: create and knit. Creation is different from knitting. Creation is to cause something or someone to come into being out of nothing. knitting refers to making something or someone out of something or someone; it stands for making a fabric or garment by intertwining yard or thread in a series of connected loops. God created your inmost being. Inmost being refers to your spiritual being. This spiritual being features the image of God built within you. This inner being came directly from God. This being refers to the spiritual you. So each of us here carries God's spiritual finger prints. God knitted you in your mother's womb. Here this 'you' refers to the physical you. The Bible calls our body a 'garment'. God did the knitting this body in mother's womb. God knit Bunny Michaud Phillip Michaud, and all 6 children in the womb of Gertrude Michaud. As I see her children, I recognize her daughters are beautiful her sons are all handsome. The Bible (Isaiah 53:2b) says Jesus had no beauty or majesty to attract us to him, nothing in his appearance that we should desire him. I think Jesus was not physically attractive primarily because Mary his mother was not that much attractive. But look at Gertrude! Isn’t she beautiful? Aside from the physical beauty remember the labor pain she had to undergo. After 280 days of pregnancy she went through the labor to give birth to her children. So we are all thankful to the Lord for our mothers to allow us to come into being. 1 Thessalonians 2:7 reads, "But we were gentle among you, like a mother caring for her little children." I met Gertrude and had time to have fellowship with her while she was in Long Beach. And I could see that she is a gentle woman. She carried a gentle smile. She talked to me softly and tenderly. I could imagine how she could take care of her children, softly and tenderly. I had a fellowship with Philip, Brian, Roger, and Tim. Philip was kind in talking to me about the air-conditioning, especially how the air duct works. I think his tenderness came from Gertrude. I have deep respect for the war generation for they know what sacrifice means. During the WWII at the age of 20 Gertrude fell in love Maurice. She married Maurice Michaud while the WWII (1939-1945) was still raging (March 13, 1943). Her husband Maurice is an American patriot, so right after the marriage he left home and went to fight for the nation in WWII. Her first child Bunny was born while her husband went out to fight the battle. Life after the WWII was not easy. Yet, along with Maurice she worked tirelessly at a farm at a restaurant and at a factory to support her children. And we thank God for providing us with a sacrificial mother Gertrude. Psalms 131:2 says, "But I have stilled and quieted my soul; like a weaned child with its mother, like a weaned child is my soul within me." Here 'weaned child' refers to the grownups. Thanks to the mother's care they now know how to take care of themselves. So they are no longer crybabies. This means we the grownups owe our mother for the stillness and quietness of our soul. For this reason it has been said, "The guests of wedding ceremony are primarily parents and their relatives, whereas the guests of the funeral service are primarily their children." And as we keep this memorial service, we thank God for our mothers who bore us so we would no longer be crybabies. May the Lord help us to remember this mother's grace so we too would take good care of the children with grace. Now Gertrude is interned at the same location where Maurice already rests. Maurice was the foundation of her family’s spiritual connection with God. She inspired the family to attend the Sunday worship regularly. She at times led family Bible readings at home. She practiced prayer on a regular basis. And now as our Lord Jesus said, like Lazarus Gertrude has fallen asleep. Our physical departure from this world is not the end. It looks forward to the hope of resurrection to come. In regard to Lazarus who had fallen asleep, Jesus said, "I am going there to wake him up." This miracle is the preview of the call to come for in John 5:28 it is written: "Do not be amazed at this, for a time is coming when all who are in their graves will hear his voice.” Jesus further says in John 6:39-40, " And this is the will of him who sent me, that I shall lose none of all that he has given me, but raise them up at the last day. For my Father's will is that everyone who looks to the Son and believes in him shall have eternal life, and I will raise him up at the last day." So there is a wakeup call to come. Then we all who put trust in Jesus shall meet again with great joy. Place: Wonder Land - Salvation Army HQ, located about one and half hours of driving distance from Chicago. Attendees: Mother Barry, Dr. Ab. T. Kim, Dr. James Kim, Pastor Mark and Anna Yang, Daniel and Deborah Yang, Dr. Henry and Pauline Park, Dr. Paul Jose Ahn, Jacob Lee, Dr. Henry Kim of Toronto, Canada, John Kwon, Isaac H. Kim, Ron and Deborah Ward, Mark and Kathy Vucekovich, Dr. Alan and Grace Wolf, Dr. Augustine Sohn, and Dr. Paul and Sarah Hong. Luke Hong arrived on April 20. Dr. Sam Zun was unable to attend due to a personal reason. There was a flood in the Chicago area. Due to weather conditions particularly flood, Pastor Teddy Hembekides could not attend. Dr. Jim Rabchuk could not attend due to stomach flu. Dr. Mark Yoon who is a chaplain of the Boston University was unable to attend due to the bomb explosion in the Boston area. David Baik of New York Chapter did not attend due to perhaps personal reasons. At 7 p.m.we met at the Cherokee Hall. I was asked to offer an opening prayer. Mother Barry served a message on Philemon. The Apostle Paul worked to abolish slavery. Paul teaches us to see human beings with the eyes of Jesus Christ. Paul wrote this letter in a prison. Although he was a prisoner in Rome, he was free. At that time church leaders were mostly Jews. Jews taught that they were not supposed to associate with the Gentiles. There were walls between Jews and Gentiles. Cultural differences were insurmountable. Paul saw Jesus broke down barriers. As a ministry we also have many differences. Koreans and Americans are different in culture. We are also different in terms of music culture. Mother Barry likes traditional hymn songs. But nowadays young folks like loud music. Some like to speak in tongues, some don't. And there are many more differences. But it is our conviction that God hears and answers our prayer. So we should not lose focus that is to preach the gospel and make disciples of all nations. Remember also the Lord's Prayer. There are UBF members and non-UBF members, but if all of us believe in Jesus, then UBF or Non-UBF members are all brothers in The Lord. And trust is important. It is based on the trust that we can build a relationship. Once Mother Barry was deeply hurt for one person said "I don't trust Dr. Ben." But we must trust people. Paul writes about a run away slave. Paul prayed for him. After running away to Rome he met Paul. Paul welcomed him and led him to Christ, so he was born again. He was changed. Even trouble makers can change, for God can change people. Paul trusted Philemon. He respected Onesimus. Paul saw God's good purpose (15). It was even a good thing for the slave to run away. Now Philemon can receive a former slave back as a free man. All of our sins were charged to Jesus' account. To know this is to know his grace. Jesus paid it all. Jesus so loved that he laid down his life for Mother Barry. Jesus wants us to trust his word. Some people have eyes to see all that are bad. But we need to see people through the eyes of Jesus. In Jesus all believers are brothers and sisters. God changes useless people to be useful. We learn a shepherd heart for one person. Heavenly Father, thank you for the letter. Please help us to love all in Jesus. After a short break, we got ourselves divided into two groups - men's group and women's group. Int'l Conference Program (August 1-4, 2-13) was distributed. Dr. Abraham welcomed Missionary John Kwon as the new LA UBF director. He also made a mention about Isaac Kim facilitating beautiful transition in transferring the leadership to him a new director. All senior staff members again welcomed and in honor of the work of God in LA they clapped hands. After the welcoming of the new director of LA, Dr. Abraham turned over the meeting to Dr. Alan so Dr. Alan led the meeting as the moderator. First discussion topic was introduction, recommendation, discussion and approval of the speakers at the International Summer Bible Conference. See program above for the list of the speakers. [Note: There are two more messengers for HBF and two more for MBF meetings (Friday and Saturday morning hours), which are not specified in the program below.] Dr. Alan asked "Why are there two messengers on the Sunday worship passage?" Pastor Mark Vucekovich said, "The flow of the Bible passage seems to work that way like Heather coming out covering the introduction and Part I on Mary Magdalene and then Abe Kim coming out and doing Part II, and close the meeting." There is a special lecture Friday afternoon. The name of the lecturer who is an Afghanistan is intentionally undisclosed for a security reason. Pastor Mark Vucekovich is to make announcement. Korean General Director Shepherd David Kim is to present a closing message on Matthew 28:18-20. Each messenger will be assigned one mentor. Then all messages will be coordinating with the messenger "team". Guidelines for messenger, mentor, and messenger team were communicated in advance. Messengers are called to address the issue of 'delivery', for they are speaking to a large congregation; no matter how good the contents are, when the delivery is poor the result is a disaster. There are two "lunch and free time" (Friday and Saturday) 3 hours each. These segments are intended for the people to have fellowship with each other especially between students and international delegates. Saturday Interest Group Sessions (Saturday 2 hours) - these are more times of relationship-based interactions rather than knowledge-based. Leaders ought to be inter-connected with shared visions. 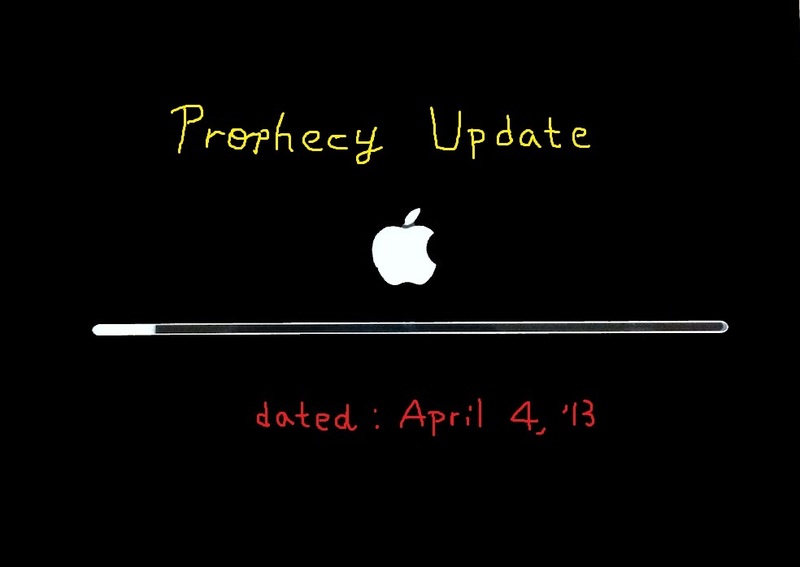 This is going to be in replacement of 'missionary seminar'. People (who will lead) are more important than the topics. So first identify leaders who will come up with topics. Some of the Korean staff members and some of the senior staff members will be good assets. One of the areas of strong interest is "how to deepen one's spirituality", according to the result of the research, Pastor Mark Vucekovich discloses. Other interest would be 'medical health issue'. Number of people who registered so far: foreign delegates about 500, USA 800, Canada 200. Voluntary donations to help out foreign delegates will be appreciated. Prayers for the visas for the speakers from difficult countries such as Africa. Pray for the participants - 2,500 goal. [5 years ago, 1,000 foreign delegates, and 1200 from North America came.] ) Pray for Pastor Mark and 35 committee managers and volunteers. 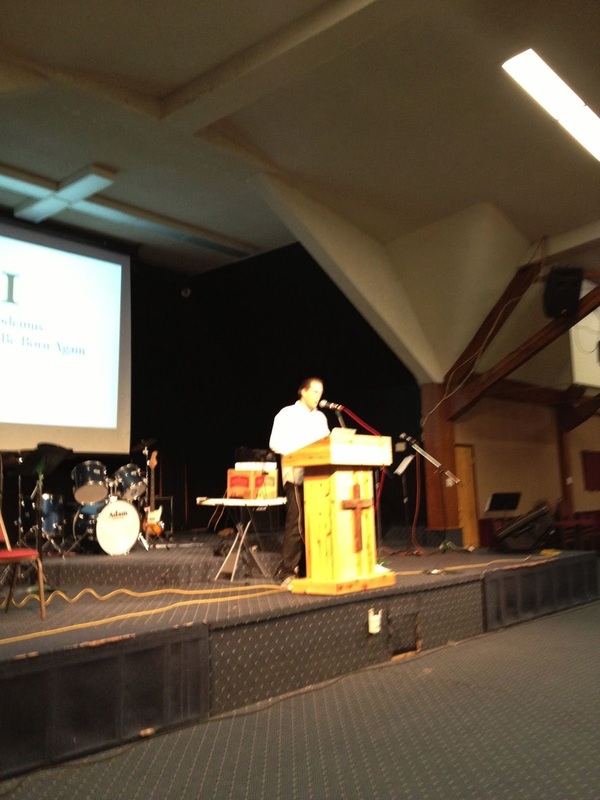 Pray for Dr. Paul Hong serving the interests-groups, Dr. Joseph Ahn, and chapters preparing for the World Mission NIght. After breakfast at 9:00 a.m. the followng staff members gathered at the Cherokee Hall: Mark Yang, James Kim, Daniel Yang, Jacob Lee, Elijah Park,Henry Kim, Luke Hong, Mark Vucekovich, Jose Ahn, Henry Park, Paul Hong, Isaac Kim, Ron Ward, John Kwon, Alan Wolf, and Abraham T. Kim. 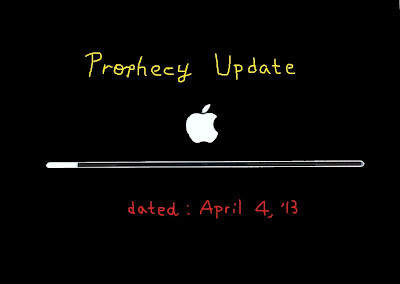 Jose Ahn shared a daily bread testimony on Jeremiah 7. He testified that instead of saying, "UBF, UBF, and UBF", he ought to listen to the words of The Lord and obdy Him. Then all may go well with him. He finished the testimoy with the prayer, "Lord, please help me reform my ways, particularly my habitual ways of life in UBF, and obey His word." Dr. Alan facillitated for the meeting. Pastor Mark shared reginal efforts to support the International Bible Conference. Dr. Abraham shared prayer topics, which Pastor Mark will communicate to each region. People from CIS, Central Africa, Latin America, and Africa are in need of help financially. Online there is a section called "scholarship fund" which is the easy way to put the money in. The money will be used as a general fund to support foreign delegates coming from dpressed areas. Motivations for the people to come to the conference are: 1) encourage foreign delegates most of whom are wounded and exhausted; 2) plant vision in the young Americans, for many young ones in the nation are eager to listen to the word of God and see God's vision. If we prayed and shared God's vision, they will respond to the call. When N. America takes the responsibility to send missionaries, God will bless America. Next topic was promoting/developing channels of healthy communications among the members locally and internationally. Downey UBF suggested that in making reports on the Sunday worship attendants we better not distinguish 'missionaries' from 'shepherds'. Pastor Mark suggested we say "total no. ___ and then college students ___". Pastor Abraham T. Kim said he would change the system. At the International conference we would not use titles like "missionaries" or "shepherds". We will simply say "Pastor so and so if anyone is pastor" or "John" or "Paul". But he continued, "You are from below; I am from above. You are of this world; I am not of this world." The time of Baptism represents God's blessed occasion in which one is empowered to live a new life - the life that identifies oneself with Jesus Christ. It is for the one who has been born of Him, so that he should belong to Him, and to his family bearing His name. This is a new day celebrating the new life. And I call this new life, "Life from above". It is life 'from above' for it is a brand new life which is way different than the old life you used to live. In John 8:23 Jesus shows how this new life is different from old life, for there he says to a bunch of people who refused to come and believe in Him, "You are from below; I am from above. You are of this world; I am not of this world." For those who participate in the baptism today, then, this ceremony signifies and celebrates receiving this new life, and having been admitted to His family, starting to live this new life - the life that is from above. This life is not of this world; it is from above, that is, God the Father who sent Jesus whom you chose to accept. Character-wise this life is the life that is in Jesus. As you repented, believed in Him, and accepted Him as the Lord and Savior, through the coming of the Holy Spirit you have received this new life and now have come to live it. This life features a brand new self which God created from before the creation of the universe and has now given you. This new self is capable of being made fully righteous and holy. The old self however is not like that. It was corrupted and has been corrupted more, so no matter how you try to improve, it will never attain to God's standards; it will always fall short of His glory. As you used to live according to this old self, you, being subjected to and constantly dragged away by its deceitful desires, you end up living a life deserving nothing but God's wrath and anger. But the new self is created and given you that you would live a life as a child of God, a member of the Royal Family. Again in his great love God has prepared for you this new life ready in Jesus Christ, the lamb of God. And to give this life to you all the while he has been searching for you. Now that he has found you, and now that you having heard the good news of Jesus, repented and turn to Him, He now has blessed you to make a brand new beginning that you would live a blessed life in the blessed Lord with his brand new life made in Heaven. Therefore I must mention that your citizenship is no longer here in this world. It is in His Kingdom. This is one of the meanings of "I am from above" or "I am not of this world". Figuratively speaking you are like a businessman who goes out of town on a business trip. Every once in a while my son Daniel go out of town. Since he is a lawyer, he leaves home in Downey and goes to Sacramento for deposition. Often times he goes to Fresno. If it is Fresno he takes his car. Then he stays there a couple of days. And as soon as the work is done, he comes back home. (For further study on this subject, that is, doing the work of God He prepared for you, read John 6:29, Romans 12:1-2)]. Now having received the new life to live, having been sent to this world to do the blessed work, it behooves you to do two things for sure: constantly listen to His word and constantly communicate with Him in prayer. I would reduce the two blessed duties into one word: WP (W stands for the word of God, P stands for Prayer). So daily devote yourself to the Word of God and Prayer, so you would be in the fellowship with God the Father, Jesus Christ the Son. As you remain in the fellowship the Lord will be with you and bless you so you would be a source of blessing no matter where you go. Our heavenly Father! When our Lord Jesus came he said on one occasion to those who refused to believe him, "You are from below; I am from above, You are of this world, but I am not of this world." Then Jesus solemnly declared to them, "Since you do not believe in me, you will indeed die in your sins." Heavenly Father! I thank and praise you for knowing these children who are gathered here and saving them into you. They have now taken the step of faith and participate in this baptism in obedience to your command. Unlike unbelievers they now repented and believe in Jesus Christ. I pray that you would honor their decision of faith. I pray that all the days of their life you would bless them and keep them, so they would carry out the work you prepared for them. In Jesus' name I pray." - Prayer: (Isaac H. Kim) "Our Heavenly Father. In your loving grace you have called us to know you, led us to trust you, and bound our life with yours. I pray that you receive these children into your family and surround each of them with your love, and protect each of them from evil. May you bless them so they would grow in the grace and knowledge of our Lord Jesus Christ. In Jesus' name"
- Immersion (one by one): as you step into the pool the administrator will place his hand and pray, "I, Isaac H. Kim, a servant of the Lord, hereby baptize you in the name of the Father and of the Son and of the Holy Spirit. "; immerse in the water; rise back. This will continue for all. "Today you've taken this step of faith in obedience to the Lord, to be baptized in the Name of the Father and of the Son and of the Holy Spirit. And you are to heed our Lord Jesus' call, to live by faith in Him, to walk in step with the Holy Spirit, live as His witness. May God pour out His blessings on you today. May the Lord bless you and keep you." I __________________, the undersigned hereby testify as true that the University Bible Fellowship (LA Chaper) has provided for me teaching materials and accordingly I have been instructed in regard to the meanings and conditions for the receiving of the baptismal service. 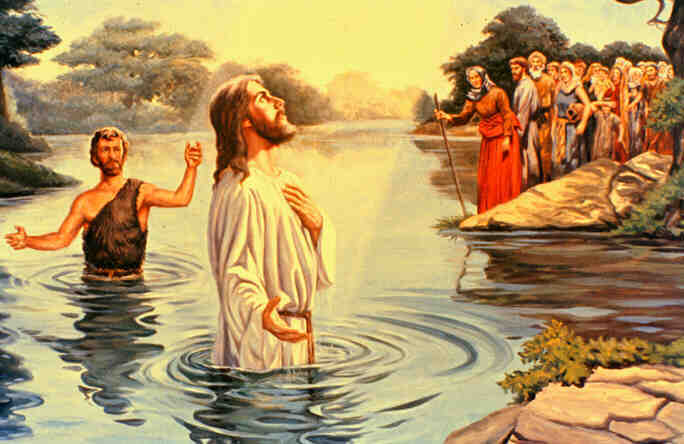 Having understood and met the standards specified in the said teaching materials, I now pledge to be baptized into the name of the Father, and of the Son and of the Holy Spirit. In my backyard I have a tree which is well established. Most likely this tree is more than 60 years young. Since it is well established, it gives out a good shade. I also got a tree house built around/on it. And my grandkids enjoy it. But what if a strong wind or a strong earthquake hits it, so it gets uprooted? Well, it is just a tree, so you can come back, and get the tree sawed off, and perhaps use it as firewood. What about man? Obviously man is far more valuable than tree. So much will also be the consequences of a man who either gets fully established or totally uprooted. And no one may want to be uprooted. Question becomes: "How is a man established or uprooted? 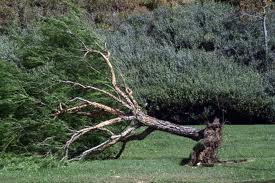 If uprooted, why is he?" Beginning today the UBF daily bread (daily devotion in QT) comes from the book of Jeremiah where you can find the answer to the question. To have access to the lecture, click here. From 5:30 to 7:00 p.m., Saturday April 6, 2013, at the main sancuary of LA UBF, Dr. James Chin-kyung Kim, Ph.D (in Philosphy), President of Pyongyang University of Science and Technology (North Korea), visited us and gave a lecture on the love of Christ. - saying "I am sorry"
He learned of the value of every soul based on Genesis 1:26-28 where it is written God created man in his image. At PUST elite students working on advanced degrees. To run the school he is in need of a lot of money every day, which all should come from somewhere. He also runs a program to feed children who are starving to death. An adoption program for one child comes with price, that is, donations from patrons. After lecture Missionary John Kwon announced that anyone who desires to donate for N. Korea should send cash money to him. I saw on the spot some people opening their wallets and donating cash money. After the dinner we had a joyful eating fellowship. Missionary John Kwon closed the meeting with the prayer that the Lord God would establish N. Korea as a kingdom of priests and a holy nation. Dr. James also runs a university called "Yust" in Yanbien, China. For a link to YUST and PUST, click here and here. In the day of Isaiah the Lord directed the message to his people (descendants of Jacob) saying, "Shout it aloud, do not hold back. Raise your voice like a trumpet. Declare to my people their rebellion and to the descendants of Jacob their sins.". In our day the message of the Lord to the Korean people (north and south) are no different. Note: the point of shout, the voice, and declaration, ought to be the telling of the cause, not the effect, and the cause is "their rebellion" and "their sins", that is, the rebellion, the sins of North Koreans and South Koreans. Bible Honduras, World Campus Mission! We thank God for protecting Shepherdess Henry. During a late night bus ride two gun men got into the bus and put her and her friend under the gun point. Through God's grace she came out safe. Last year her parents divorced so she was sad and somber, but through Bible studies, she overcame sorrow and grew stronger. To the Spring Bible conference she invited one student majoring in pharmacology and her mother. 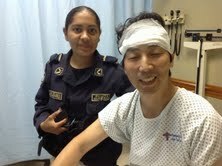 Missionary David Kang is recovering nicely from the recent gunshot wounds, and works vigorously for the Lord. Thank you for your prayer supports. P.S. 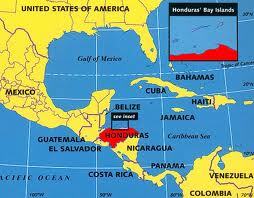 : According to one report, Honduras is the most violent city in the hemisphere. For more information click here. On March 31, 2013, at 4:00 p.m., El Camino UBF had a New Center Dedication Worship Service. Hi missionary Isaac.Thank you for your love for us. Our special thanks topics are: 1) for establishing shepherds and shepherdesses from among young college students; and 2) for blessing us with this new church building through the offerings of poor college students. 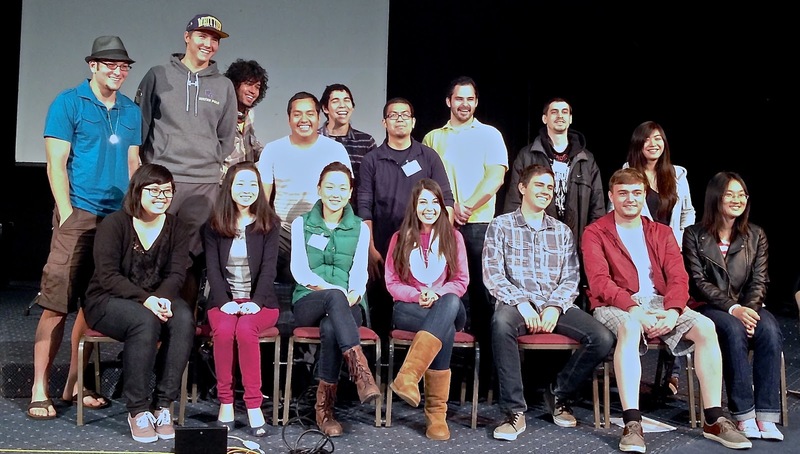 We started pioneering in the summer of 2004, with the vision that we would establish shepherds and shepherdesses who would live for God's flock on the campuses and plant 50 churches in California. So, that's our vision and our prayer topics. We purchased this house about 2 months ago, and remodeled it for our purpose accordingly. Most of the members are poor college students. They made sacrificial offerings. The Lord blessed their offerings and enabled them to purchase at an ideal location a Bible center below the market value. It is located a few minutes away from the El Camino Community College. It has seven bedrooms, 5 baths, worship hall, full service kitchen, garage, parking spaces in the front and more marking spaces accessible from the rear. Friday Message 1: "You must be born again." "During the conference we are going to see God's work that is already finished", said William. Nicodemus finished a lot of things, but he did leave one thing unfinished - that is, getting into His kingdom. He was a Pharisee, a member of Jewish ruling council, which is comparable to modern day Governor, senator, and supreme cout judge combined. His name Nicodemus means "victory over the people" indicating he was a man of success and many victories. He was an embodiment of success, like Donald Trump, Mr. Rogers, and Obama combined. No one can see and enter the kingdom of God, unless a man is born again. There are five ways for man to enter the U.S. and become a U.S. citizen, but there is only one way for man to see and enter the Kingdom of God. In modern society a lot of people are like walking zombies, for this is what a man who is not born again is like. It is when one is born again that one can see and enter God's kingdom. The spiritual birth is compared to a wind blowing. You can see the evidence of a man born again spiritually. Nicodemus was not good at learning. So Jesus rebuked him. His progress report card as a Bible student says, Humility = D+, Acceptance = F, and Belief = F-. Jesus said he is the only one who can speak of the spiritual truth on the new birth into His kingdom for he alone is the one who has gone into heaven and came to this world. Jesus then shared him the story of a bronze snake recorded in the Old Testament Scriptures, wherein we see people who complained and got bitten by snakes receiving healing by simply looking up at the bronze snake Moses made and posted on top of a post. All fallen men are like a man biten by a snake. The process of deadness is already in progress. So he must be born again to reverse this process. And the way is for people to see Jesus the one and only Son Jesus accept Him, and be healed of the snake bite, so he could have eternal life, just as the Israelites who looked up at the bronze snake and received healing. Belief then is the key. The problem of sin is so great that it goes way beyond the power of any fallen men. The only way to overcome the power of sin, see and enter the Kingdom of God and have eternal life is to believe in Jesus the Son. People do not like Jesus for Jesus brings man's sinfulness into light. But know that Jesus came not to condemn but to save people from the power of sin and death through Him. His testimony: William never went to a church since his childhood. When he was 19 he was the first class sinner, smoking pot, engaging in party life style, womanizing, drug, etc. When he hit the rock bottom, one day he opened the Bible which happened to be next to him. The bible opened to Revelation where he saw the words hell and heaven. He did not want to go to hell. So he read the Bible more often. Then when he was attending a community college he met a Bible teacher. Through Bible studies, the Holy Spirit started working on him. Then one day he felt heavy in his heart. He sat down on the ground and asked God, "God, am I born again?" A voice came "No. You are not." Then in one of the summer Bible conferences, the spirit of God convicted him of his sinful condition. Then he cried so much. He did not want anyone to know him crying, so he wore black sun glasses. His shepherd read for him Romans 10:9-10. After this he prayed together with his shepherd. The moment he said Amen, a huge burden was lifted from his chest. Then when he opened his eyes, the whole world looked different. The joy was complete. One moment he felt so horrible but the next moment he became totally different. He was born again. When he had received the drink, Jesus said, "It is finished." With that he bowed his head and gave up his spirit. Some died for political or environmental causes. But Jesus died for the sins of the world, and thereby to save people from their sins. Jesus was flogged. He got whipped. Roman soldiers tortured Jesus emotionally, slapping him on the face. Jesus was human and experienced pain like any of us. He suffered but did not open his mouth. He quietly and calmly submitted himself to the will of God. But he was pierced for our transgressions. He was punished so we could have peace. Pilate thought Jesus was at his mercy, but he was wrong, for the one above Pilate has the real power. (John 19:11) So Jesus entrusted him to God. Jesus was crucified at Golgotha. Crucification is the worst form of punishing. How far will you go for someone you love? Jesus was willing to be crucified. Pilate wrote a sign: "Jesus of Nazareth, King of the Jews." Many kings are found in their palaces. But this King is on a cross. Soldiers were not concerned about Jesus but his clothes. Death comes to every one but more important question is 'How and why' does the death come to him or her? Jesus remained silent all the while but he said, "I am thirsty". Then in v. 30 he said, "It is finished." How many have said "It is finished" right before death? Although he was killed by his enemies, he did not die as a loser. Usually the killer is regarded as a winner, but in Jesus' case the one who dies proclaimed, "It is finished". Jesus sacrificed in our place, for Adam and his descendants disobeyed God, for which they had to die as penalty for sin. King Solomon killed many animals to atone for the sins of people of his kingdom. Daniel did not want to serve this message. But through Jesus' example he learned of the life that sacrifices for others. So he decided to serve the message. 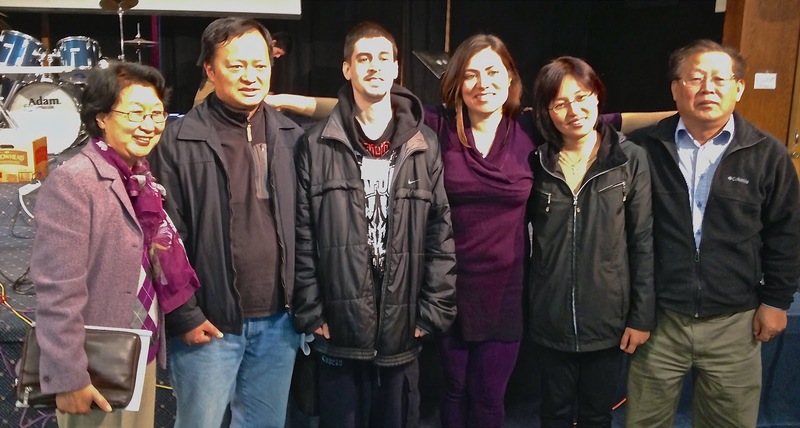 Missionary John Kwon announced with one question: Jesus' voice says "It is finished", but our enemies say, "No. It is not." We need to listen to Jesus' voice: our sin problem is finished. Do not be deceived! Group Bible Study: Of the 15 groups, I belonged to the group 14. Andrew Cuevas was the leader. We covered Isaiah 53. 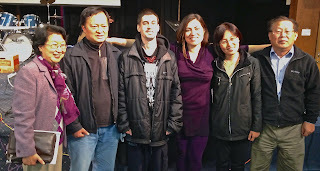 I met new friends: Chris Banda, Christina Le-Mai (Wendy Doan studies the Bible with her). Chris Navaro who came with me to the Conference was also in the group. Peter Lopez jr. was a member. In the afternoon at 4:30 p.m. we met at the main hall again. By believing in Jesus who is living there is the promise to live a life that is full. Life in His name refers to His life that is with peace and blessing. Jesus appears to Mary. Stone was removed and Jesus was not there in the tomb. Jesus' body was missing. Mary stood outside still crying. Mary treasured Jesus but still she was crying. Mary is like Charles' grandpa who used to say, "Children, I have only four more years to go". The power of death was over him. But look! What did Jesus say to her? The Risen Jesus says, "Woman, why are you crying?" Mary thought Jesus was a gardner. Voice recognition was there. We cannot trust our eyes. But we can hear His voice. While she was sorrowful Jesus saw her all the while. She wanted to go grab her, for Jesus was not some ghost or vision, but the real person who rose again. So Jesus said, "Do not hold onto him." Jesus sent her back to his disciples. Jesus did not go with her. Jesus let her go and help his disciples saying, "Do not hold on to me, for I have not yet ascended to the Father. Go instead to my brothers and tell them, 'I am ascending to my Father and your Father, to my God and your God.'" - remember who you are born to (when you are born again) that is the Father God, Jesus' Father, my Father, Jesus' God, my God, My Father, your Father, my God, your God. She went to the brothers and said, "I have seen The Lord." She was changed. Jesus' leaving her made her a joyful witness of the Risen Jesus. Charles' father left him early. When he met him, he asked his father, "Why did you leave us?" He said, "It is your fault." He then hated his father. His mom had four brothers so Charles wanted to attach him to each of them one by one but all of them was so busy. One day while he was writing a Bible testimony deeply realized that he has a Heavenly Father as his own Father. Once his mom disowned him three times but he no longer cried. And God brought him to a family. Jesus' disciples were very afraid. While they were inside a locked door, Jesus stood among them saying, "Peace with you." Jesus let them take a good look at Jesus' wounds. What they were afraid of was not the Jews but the fear of death. Jesus died and rose again. In Him we can have real peace. How often do you lock yourself up in fear? Look at Jesus here who stands showing his body to the disciples! Jesus said to his disciples, "As Father has sent me, I am sending you." This was one thing they did not want to do. This going is the opportunity to experience the power of His love. Death is not something we should be afraid of. Being sent out is the way to experience His peace and His power. He also gave the amazing gift, the Holy Spirit. So they had nothing to be afraid of. Jesus told them to receive Him, and commanded them to forgive. Being sent out is powerful. Don't you want this life of peace? Thomas was missing when Jesus appeared to other disciples. Thomas made it impossible for the disciples to persuade him, for he wanted to see Jesus and put his finger on Jesus' nail marks. Jesus wan't there when Thomas attached these conditions. He must have been more shocked by what Jesus said than seeing Jesus himself. Jesus rebuked saying, Stop doubting and believe. Then Tnomas said, "My Lord and my God." Thomas' real problem was doubt, and Jesus knew his problem and addressed it. Blessed are those who have not seen Jesus and yet have believed! Jesus was sending Thomas out! God sees us and knows us perfectly. Testimony: Juan Perez - Stop doubting and believe. 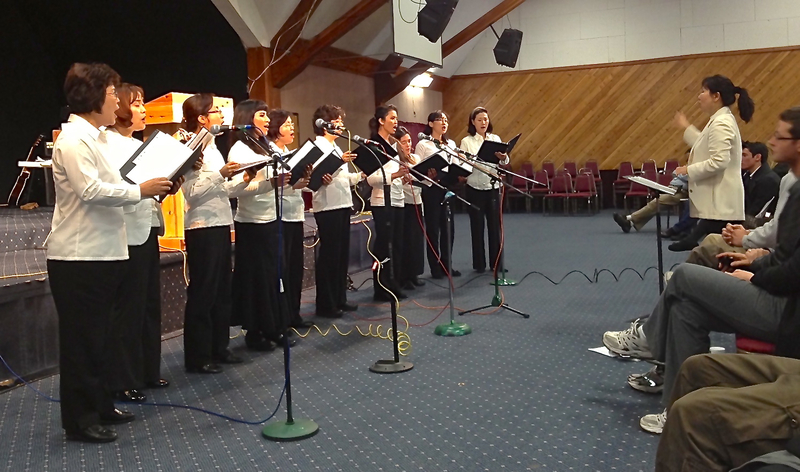 Special Song: UBF Choir "Because He Lives"
Testimony: Jennifer Vu - Jesus called Matthew saying, "Follow me." "Look, I am coming soon!"